Unresolved negative thoughts, feelings and emotions may be contributing to, and be the root cause of your depression, weight problems, and poor health. You can do something about it! Allow yourself to move into more joy, health, and peace of mind. I get asked quite frequently by my clients and friends how I discovered and started using muscle testing, EFT and all the other holistic methods I use. So I thought I would type up a little post about my journey. It was on my quest for better health that I learned all of these things. Each experience being another piece to the puzzle. We all have different journeys and we all experience different things. Some of our experiences are very traumatic, while others not so much. Some of us experience more emotional pain than physical pain. You may wonder at times, “why me”? But I feel the things we experience are for our learning and to help us become who we are supposed to become, and perhaps to help someone else. One of my kids, I don’t remember which one, but they said to me one day, “thanks for being sick.” I knew what they meant, and they quickly explained that they were grateful for the things that I have learned and taught them while going through my health challenges. I know it sounds strange, but I too am grateful that I have experienced challenges in my health. I have been led to some awesome people, learned more about nutrition, herbs, emotions, energy and the amazing human body; all of which I may not have learned had I not been compelled to do so. I hesitate to share too much about my personal life, and the things I am experiencing, but if it can help someone who is going through the same thing, maybe it is time for me to speak up. So here is a little bit about how I came to know what I know. What I share may or may not ring true to you, if it does great, if not, move on to other things. By the way, my journey is not complete, I am STILL learning and still not completely healed, BUT ARE WE EVER? Perhaps we can connect and help each other along this wonderful ride of life. Although there is a long list of things that have helped me and that I would love to share with you, I am going to touch only on a few of them in this post: Muscle Testing/Applied Kinesiology, Rapid Eye Therapy and Emotional Freedom Technique also known as Meridian Tapping. My first experience with alternative healthcare was way back in 1997. I was on a quest to find the root cause of a newly diagnosis of an autoimmune condition called idiopathic thrombocytopenia purpura (ITP). This is a condition where the body’s immune system attacks and kills the platelets in the blood. I was a young mother with three children all under the age of five. Not only did I have an issue with bleeding and major bruising, I felt tired, fatigued, achy, irritable and depressed. I could no longer engage in the physical activities I loved like jogging, aerobics and gardening without feeling totally wiped out and achy. I remember times when I would have to lay down on the couch, I mean HAD to lay down immediately or else I would just collapse. No energy whatsoever. My young kids were so good to just play together on the floor while their mother rested on the couch. I had to get my blood checked weekly for quite some time. When I would call the doctors office to get my results, the nurse and the doctors would pressure me about getting my spleen removed. This was pretty much the standard procedure for ITP patients. My heart, my gut, and my intuition did not feel good about having this done, and I still don’t. I am all about finding the ROOT CAUSE of things. I want to know the reason behind what is going on, not just treating the symptoms. I know sometimes you have to treat symptoms until you can find the cause, but I did not feel good about removing one of the major organs from my immune system HOPING it would work without trying other things first. Well, I ended up changing doctors because I could not handle the pressure I received from him, his negative attitude and the lack of support for me trying anything alternative. He asked me one day if I was taking “anything weird”, I asked “like what”. He said “like vitamin C or herbs? If he thought vitamin C was weird, then I knew I was in the WRONG PLACE. I found another specialist who was able to give me the medical support and monitoring that I needed without the pressure. Instead of going the standard western medicine route, I took a different journey. However, very reluctantly, I began treatment using Prednisone to see if that would bring my platelet count up. It did bring my count up, but also wrecked havoc on my body. I hope to never take this medication again. While I weaned off of that med, I was able to find a holistic Medical doctor who knew about the Safe Uses of Cortisone. To keep this story short, I was able to take regular hydrocortisone to bring my platelet count up without all the evasive side effects of Prednisone. This has been a lifesaver. (If you want more information regarding this, please send me a note). I opted to take this route only to buy some time while I searched to find the root cause of what was going on in my body. My sister-in-law told me about this doctor who did some cool stuff. I had never seen a Chiropractor before but was willing and open to try anything. He not only dealt with the spine, but coached his patients about nutrition, offered supplements and tested his patients using muscle testing, also referred to as applied kinesiology. This was a little out there and woo woo. This is what he did. The doctor had me hold out my arm and while pushing down on my arm, would ask questions regarding my health. Sometimes my arm would hold strong, and other times not. He said he was reading my body’s energy, and I believed him because he was SPOT ON. He was getting correct answers to questions that only I would know. He knew I broke my leg, and tested at what age that occurred. What really intrigued me was that he not only dealt with the physical symptoms, which I was came to him in the first place for, but he also got into the emotional aspect of health. I can distinctly remember him stating that I had a lot of ANGER. Well, at that point in my life, I did not feel I had any issues with anger. I looked at my husband and he just kindly smiled at me. Since that time and over the years as I have gone deeper into the emotional aspects of healing, I have come to find out that YES, I had some anger issues. It wasn’t outward anger, but anger that I had buried deep into my subconscious brain where it sat and festered. I will go into buried and trapped emotions and how they effect our physical body a little later. That day was a first for me. Not only my first experience with a chiropractic doctor, but my first awareness of energy and emotional work. I remember going home from the doctor that day and both my husband and I thinking how weird that was. Yes, it was OUT THERE, strange and woo woo, but for some reason, it rang true to me. I guess I can say that this was the beginning of an amazing journey for me and my family. I began studying, taking classes, trying this and trying that. You name it, I probably have tried it. I think I have tried every diet out there. Eat Right For Your Blood Type, Paleo diet, Candida diet, etc. I have spent thousands of dollars on supplements, remedies, herbs, and even psychotherapy hoping to feel better, but still did not. I continued to search. When I was at the end of my rope, discouraged and not knowing what else to do or try, something else would be be presented to me. I knew it wasn’t just coincidence. I was being given another piece to the puzzle, things I needed to learn and experience. People would just show up in my world that could help me or teach me. I would go the library and books would pop off the shelves with information that had answers for me, things to learn. One particular incident at the library changed my life. I took notice to a book on the shelf because the author had the same name as my maiden name, Tuttle. I pulled it off the shelf and read the title, The Path to Wholeness, by Carol Tuttle. Sounded intriguing, so I checked it out. It was very good, but it was her second book, Remembering Wholeness that got me. I read in the back of the book about the author and noticed she lived in Utah, close to where I live. I am not sure how I got her number or if I sent her an email first, but she called me and talked to me. She told me what she does and asked a little bit about me. Carol is a Certified Master level Rapid Eye Technician and practitioner of energy psychology and energy medicine. At the time, she was seeing clients in her home, and I was able to set up a package of 6 sessions with her. (I think she only works with clients on a limited basis now as she has gone quite public and is rather busy and very popular). I drove an hour from my home to hers and had my first rapid eye session. This was my first experience with that modality and energy medicine. I must say it was a little out there and woo woo as she waved this plastic wand in front of my face while releasing the energy of trapped emotions, and beliefs. I left her house that day a different person. I was not healed, but it was the first step on my road to recovery. I came home and gave my husband a hug. A hug that felt REAL and genuine. He could tell immediately that something was different. He felt that the hug was real and sincere. Not that they weren’t before, but there were blocks keeping me from really feeling love or giving it. I was different. I continued with my sessions and continued to get results. It was clearly evident that by releasing these low frequency emotions from my body I started to feel better emotionally, and I started to get better physically as well. If you don’t feel good, and you have tried everything you know (medication, therapy, supplements, etc.) and you are still not getting well. Or you go to the doctor with symptoms and they run every test under the sun, only to find NOTHING. Then most likely you have some emotional thing going on. Trapped or current emotions and feelings that need to be released. Karol Truman shared an acronym that I love. PAIN – Pay Attention Inward Now! Carol not only helped me release the energy from emotions from my past that were effecting my health and well being, but taught me skills and tools to manage my thoughts and emotions so I could create joy, prosperity and better health in the future. One of the tools she introduced me to was EFT, Emotional Freedom Technique. EFT is a type of Meridian Tapping that combines ancient Chinese acupressure and modern psychology. Instead of using needles like they do in acupressure, you simply tap on acupressure points on the face and body with your fingers to release blocks in your body’s energy system. 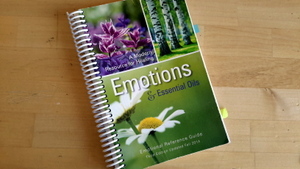 Negative emotions, pain and other health problems are signs of blocked energy. A great place to go to easily understand how all this works is Nick Ortner’s website, The Tapping Solution. 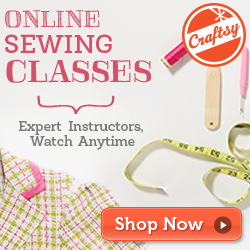 You can click on different tabs on his website that will help to understand why and how it works. It is so fascinating!! I use Meridian Tapping all the time for myself and with my clients with great success. Not only does it help release previous trapped and blocked emotions, it can also be used to prevent current emotions from being trapped. One of the first steps in successful emotional release is AWARENESS of what you are feeling. In the book Feelings Buried Alive Never Die.. by Karol K. Truman, there is a long list of negative feelings. After the negative feeling she has listed the positive feeling. I remember using this list frequently to help me identify what it was that I was even feeling. I knew I didn’t feel good, but I couldn’t pin down what it was I was feeling. I had lived my life not even paying attention to what I was even feeling, just stuffing it! When I could locate what emotion I was feeling, and own it, give it a voice, then I could process it so much easier. I think so many of us are walking around feeling sad (or whatever emotion) and not able to admit or even recognize that we are feeling sad. Awareness is the first step to change! By the way, the book Feelings Buried Alive Never Die was one of the first books I read about emotions how emotions effect our health. I will admit that some of the concepts seemed way out there the first time I read it, but now, it’s a NO BRAINER! I love this book, and I love Karol. I have met her personally, (something about the name Karol, & Carol) and energy work hugh? How ironic. 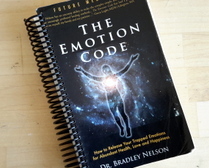 In this book, you will find a list of physical conditions and the probable feeling that may be creating the condition. This helps locate some feelings you may be experiencing and not even realize it. Perhaps not all the things listed will pertain to you, but most likely there is something listed that will be spot on. I have several copies of this book and even the app on my iPhone, and I refer to them daily. I highly recommend you add this to your must read list. 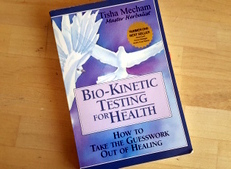 Another book similar and equally valuable, is Lois L. Hay’s book, Heal Your Body. It has the mental causes for physical illness and the positive affirmation to overcome them. My family has worn out several copies of this small paperback gem. EFT will also help you let go of negative beliefs, and most importantly, help you REPROGRAM YOUR BRAIN. You can keep releasing trapped emotions forever, but if you do not change the way you think, you will just keep creating what you don’t want. The second part of EFT, after the negative emotion has left or dissipated, is when you start the reprogramming process. You simply tap in the positive emotion using “I am” statements. If you believe it, FEEL IT, then you will experience it. I have seen it change peoples lives, mine included. Here are just a few of the conditions and patterns that EFT can help you let go of. I encourage my clients to use tapping whenever they experience negative emotion. Instead of stuffing the feelings, or dealing with them later, get rid of them while you are aware of them. It is quick, FREE, and very effective. I call it emotional health maintenance. It does take some effort, and persistence, but it DOES pay off. I could go on and on about emotional release work, but due to the length of this post already, I will move on. At the end of the post I will give a few more refrences to some other great books that I use frequently. Although I still experience ITP, Lupus and other ups and downs, I am able to live an active, productive life. I have had to adapt the way I do things a bit, and set some boundaries, but again this in itself has led me to wonderful things, like Yoga. I teach yoga several times a week, and one of the classes is an adaptive yoga class. I feel I am a better teacher in this regard because I am able to relate to those who have limitations. There are days when I don’t feel so great and I relapse in my ways of thinking, but those days are getting fewer and less frequent. I have to remind myself how bad things used to be and how much worse I used to feel, and just keep moving forward with hope. I am grateful for the things I have learned, for the wonderful mentors, for my awesome family, and for a loving God who knows me and looks after me. I am grateful for the path that I have trod so far and look forward to the wonderful journey ahead. If you have experiences that others can learn from or have questions regarding anything addressed in this post,please share! Wonderful story Jan, thanks for sharing. We all have so.. much to learn about how our wonderful bodies work and the hidden gems that are there waiting to be discovered. Medican certainly has it’s place but our bodies have often got the means of healing itself.